I mentioned in my last post that I've been having a clear and tidy up of some things. 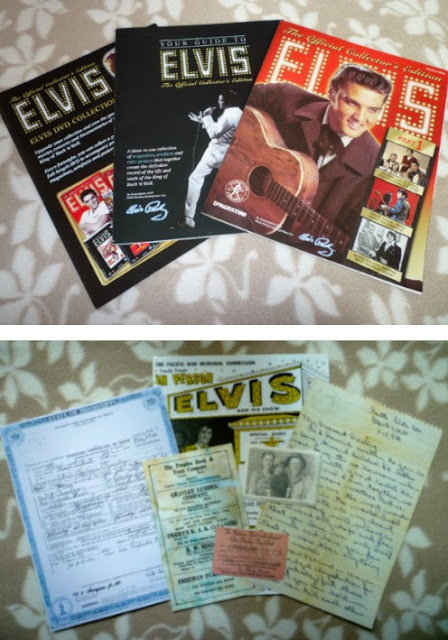 One thing I got distracted by whilst trying to do my clear out is my box of Elvis memorabilia. 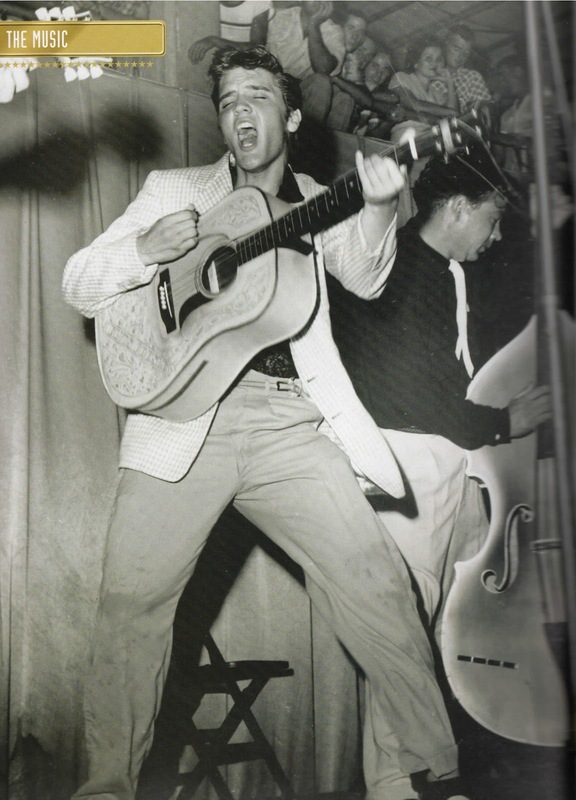 Elvis has a special place in my heart as I'm sure he does for many people, but in particular I love him because he was probably my first serious introduction to rock and roll music, which in turn led to my current interest in all things vintage. In addition to the contents of this box, I also own several other books and CDs. 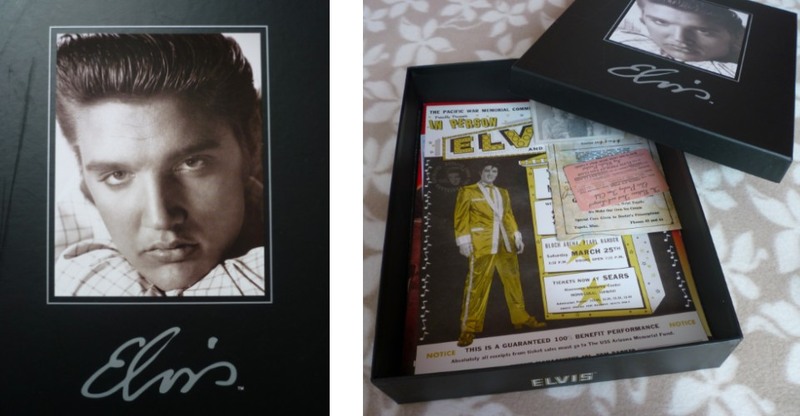 The box itself was one of these collectors things you can buy from the post office. I only ever bought the first issue because you know how it goes - the first one is 99p and everything thereafter is about £100, 000 plus your soul. Well. Maybe not quite that much, but certainly too expensive for me to really bother collecting the whole series. 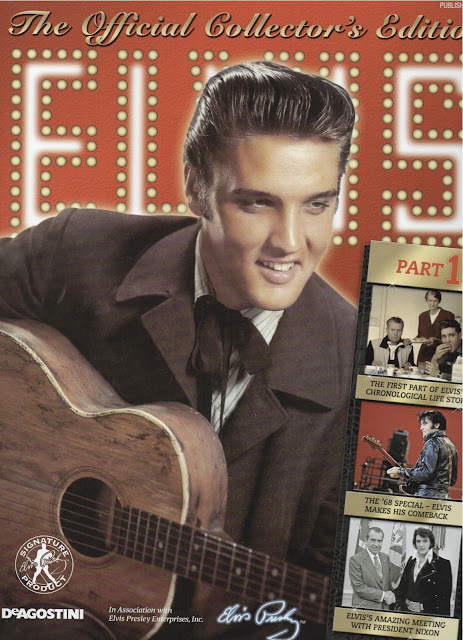 Nevertheless, the first issue did come with some lovely things for Elvis fans. I am sorry that my scanner cut off some of the edges in the following images; I don't know how to fix it so I hope it doesn't spoil your viewing too much. 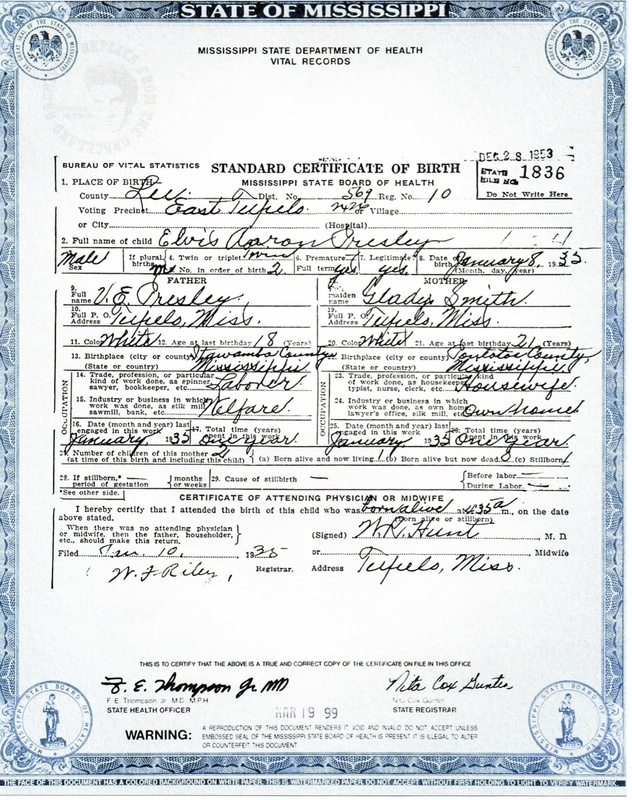 Copy of the birth certificate of Elvis Aaron Presley, born 8th January 1935. Elvis was the second of a set of twins; his brother was named Jesse Garon and was stillborn. 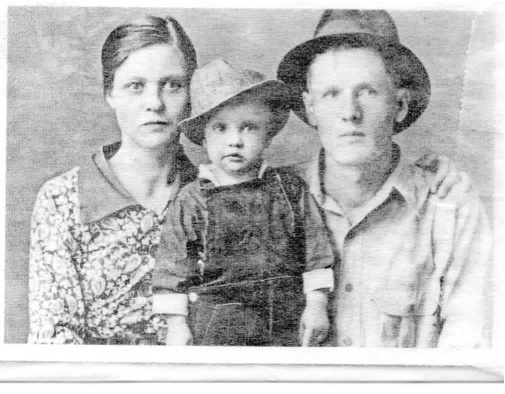 Family portrait c.1937 showing Elvis with his parents, Gladys and Vernon. 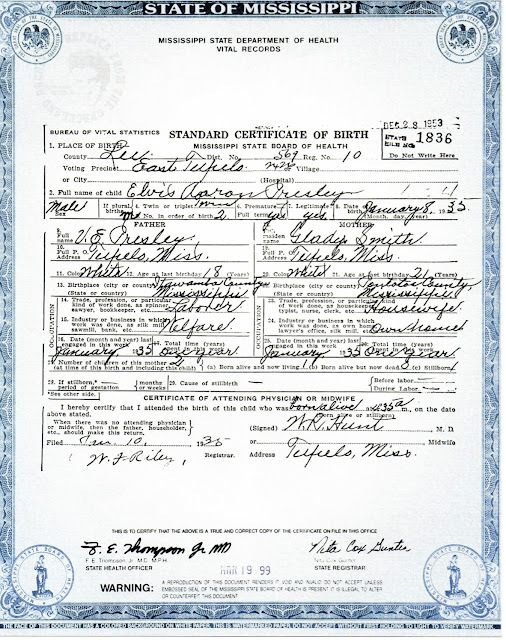 Report card from 1943-44, East Tupelo Consolidated School. Elvis was 9 years old. I love the adverts on the back page, particularly the one for "Freeman Furniture Co.". In case the text is too hard to read, it says "You furnish the bride/ We furnish the home". Letter from Dixie Locke, Elvis' first girlfriend. There are some great lines in this, it's so sweet. 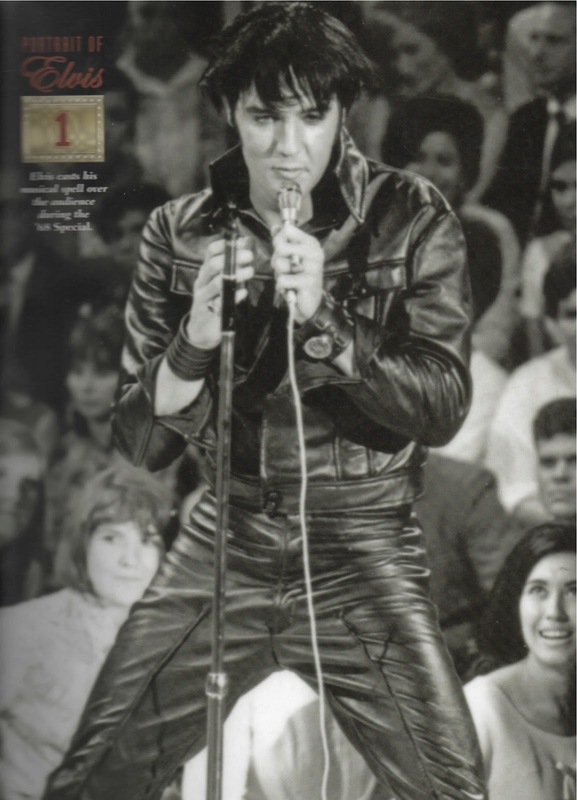 My favourite is: "It's so lonesome when I'm not with you, I could die". 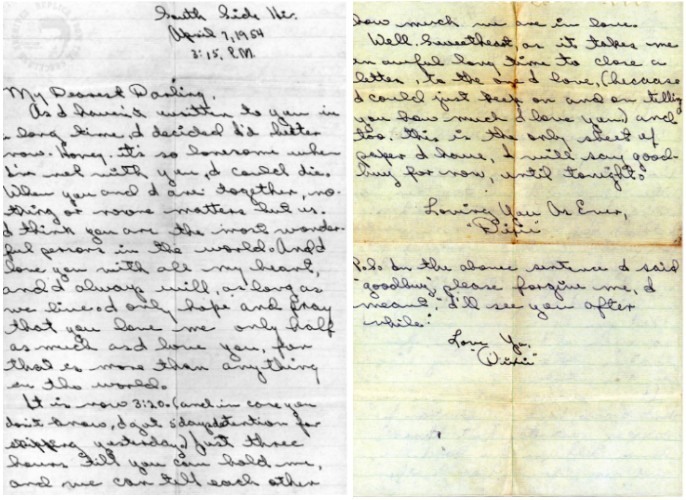 Her handwriting is quite hard to read (also small and slightly out of focus) in the image above, so I have transcribed it (spelling mistakes and all) here. It's too lovely not to share! 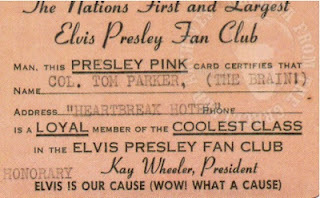 Fan club membership card for "The Nation's First and Largest Elvis Presley Fan Club". 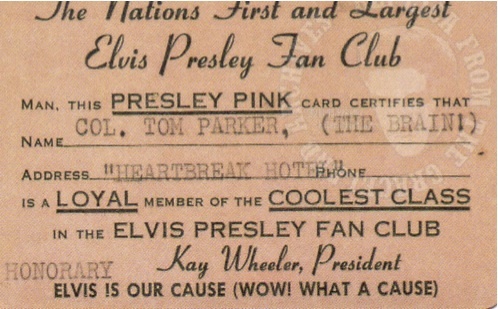 This particular card is an honorary membership card given to Colonel Tom Parker, Elvis' manager. Memphis charity show poster, 1961. 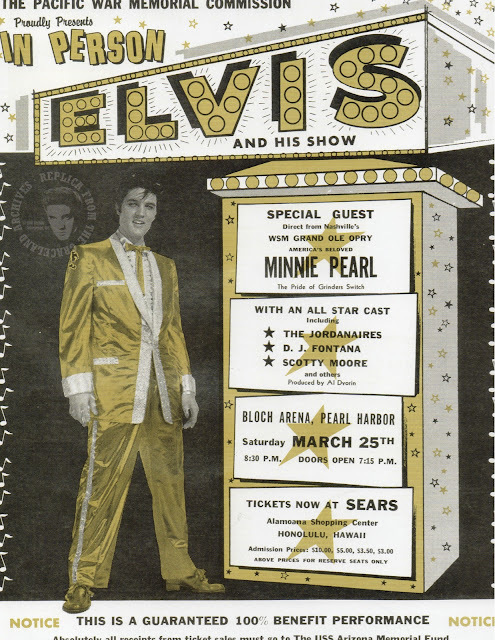 My paternal grandma would go weak in the knees over this post - she's been a huge Elvis fan ever since she was a young teenager in the 1950s. 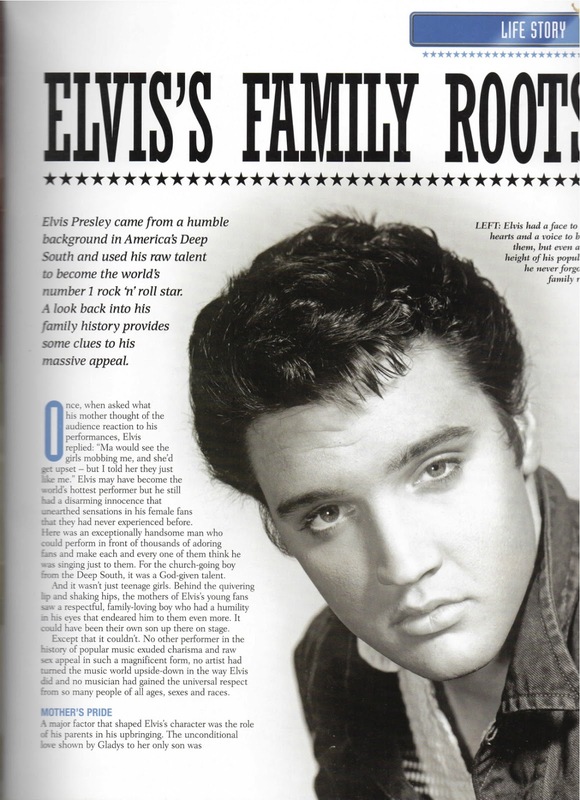 There must be an Elvis gene, because I certainly share her (and your) love of The King and his fabulous music, too. 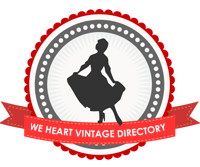 Thank you for sharing magnificent collection with us, darling gal.